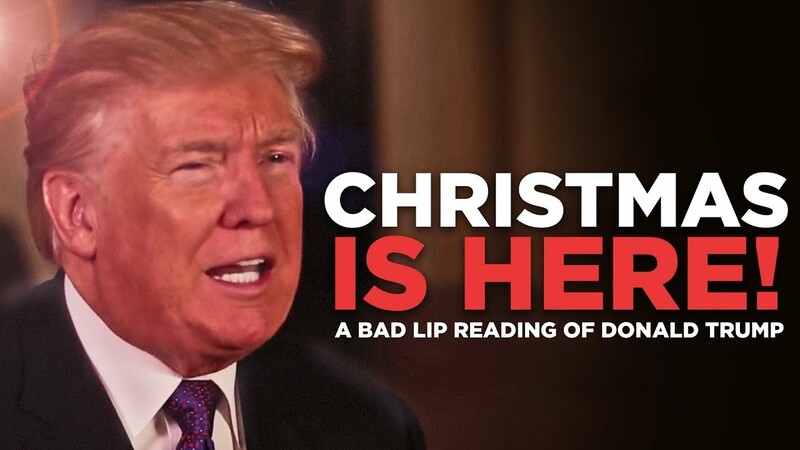 Bad Lip Reading Releases Donald Trump’s CHRISTMAS IS HERE! Whoa, my man. You think Christmas is over? I don’t think so! Nothing is over until Bad Lip Reading gets their grubby Bad Lip Reading hands all over it! Around this time last year, the Bad Lip Reading crew made a certifiable hit with the Trump Inauguration, and now they’re back! 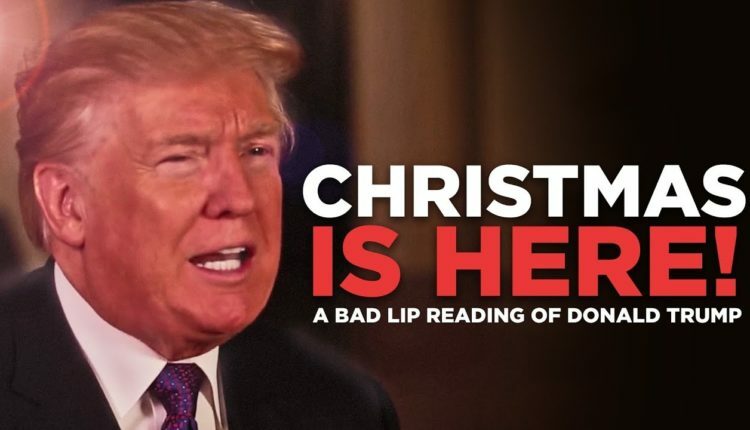 Trump claims he brought back the phrase “Merry Christmas,” well — he probably didn’t since it never went away, but he did inspire the new song — “CHRISTMAS IS HERE!” from those good old bad boys from the Bad Lip Reading crew. The song chronicles the chaotic garbage year that Donald Trump left in his wake. We have a man looking at the eclipse, talking nonsense, and Melania Trump begging for help from behind her gilded cage. Then we break it down with a couple of lyrics from the tragic Disney World Donald Trump robot. Oh heck yeah, Donald Trump robot. Break it down! What do you think of the latest Bad Lip Reading? Let us know in the comments or on Twitter at @WhatsTrending!